Coffee roasting is a venture that any commercial coffee outlet should consider investing in. This will save you lots of money on beans that you would otherwise have spent on roasted coffee beans. The cost of roasted coffee beans is relatively high; it is nearly double the price of green beans. If you consider purchasing a coffee roasting machine, you must know what qualifies a coffee roasting machine to be perfect. There are numerous of these machines on the market and selecting the best can be an uphill task especially if you are new to this game. In this article, I will discuss essential aspects that will guide you in selecting the best coffee roasters. These machines can be costly; it is, therefore, necessary to make sure that your choice is a worthy investment. Let us go into details of these essentials. Gas roasters allow you more control compared to the electric counterparts. Their reaction to heat is faster compared to electric roasters; the reason why you will hardly find chefs using the electric ones. They can either use propane, butane, natural gas, or a mixture of butane and propane. Natural gas is cheap and readily available. If you have no access to natural gas, you can opt to use propane. The use of butane should be discouraged since it leads to pollution. Before selecting your roaster, know the form of energy it runs on. This is necessary to avoid unnecessary repairs. As you consider a coffee roaster, consider the amount of coffee you want to roast. On average a perfect roaster should be able to offer enough coffee per batch to last you a whole week. You may opt to select a coffee roasting machine with a low capacity but consider if it is economical to keep roasting coffee beans every day. These machines come in different volumes. Consider a machine with a volume that will match your expected growth. Before you decide the ideal roasters, familiarize yourself with the local rules and regulations on emissions. I some case you will be required to install an afterburner to control the emissions. Different countries have varying laws on emissions. Make sure you comply with set laws on emissions to avoid costly mistakes that could ruin your business. Check on the set limits on the requirements for afterburners for your local authorities. The type of the roaster will determine the amount of noise of will emit. Drum roaster produces less sound when compared to air roasters. With a loud roaster, you might miss the cracking noise from the coffee beans. This may result in over-roasting and bitter coffee. It is best to go for a drum roaster, though they are more costly, they tend to produce better results than their counterparts in addition to been long-lasting. A perfect coffee roasting machine will offer you the opportunity to listen to all the vital processes I coffee roasting; both the first and second cracks. When thinking about price, you need to strike a balance between the cost of the machine and its quality. You may go for a cheap coffee roaster, but will it last? How about the quality of the final product? These are vital questions that you must consider before a purchase is made. The best coffee roaster should emit minimal noise; its price should be fair, it should run on gas, be long-lasting and durable. 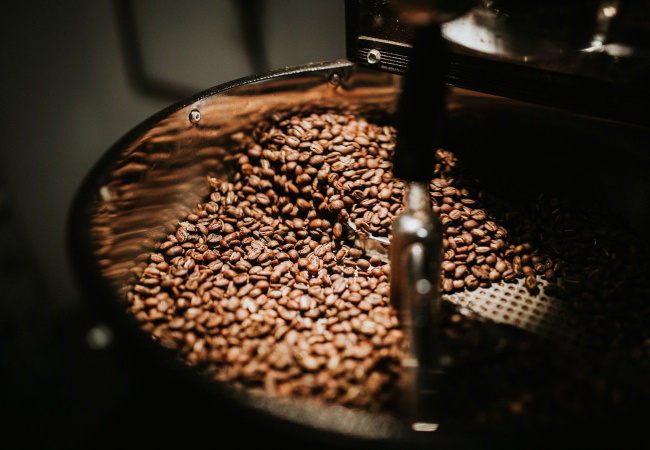 A closer look at these critical aspects will ensure you get an ideal coffee roasting machine and save money on purchasing roasted beans.